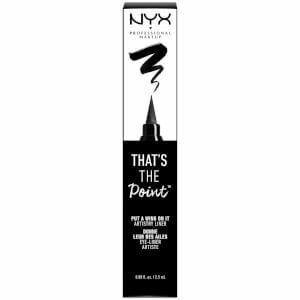 Line and define your eyes with NYX Professional Makeup That's The Point Eyeliner in 'Hella Fine'. 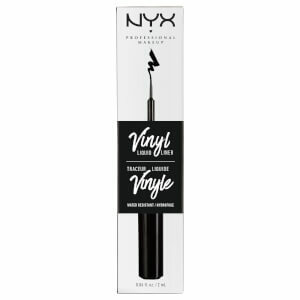 Designed with a unique-shaped tip for achieving maximum precision and specific results, the liquid eyeliner is equipped with finely pointed tip that allows you to create a precise winged line right on the lash line. It delivers rich black colour with a satin-matte finish, and expertly emphasises and accentuates to leave eyes with enhanced definition. Apply directly to the lids. Caprylyl Glycol, Phenoxyethanol, Dehydroacetic Acid. MAY CONTAIN (+/-): (CI 77266) [NANO] Black 2.